3 Beds 2 Baths 1 Partial Bath 1,650 Sq. ft.
NEW LUXURY CONDOS HAVE REALLY TAKEN OFF IN TAUNTON !! Hart's Landing Condominium Association is almost sold out!! There is only one unit left !! 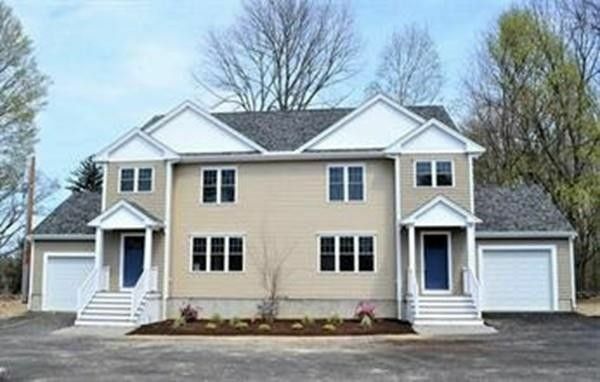 If you have been waiting to purchase brand new construction with all the modern & upgraded amenities you could dream of while remaining close to Boston, Providence and the Cape with convenient highway access... your wait is over!! These luxury units include three spacious bedrooms, hardwoods, tile, granite, stainless appliances, laundry room, slider to own private deck, full basement and a garage.. all coming standard for only $309, 900! This is the last unit... call today for showing!! Directions: County St./Route140 to Hart St. or Plain St. to Hart St.